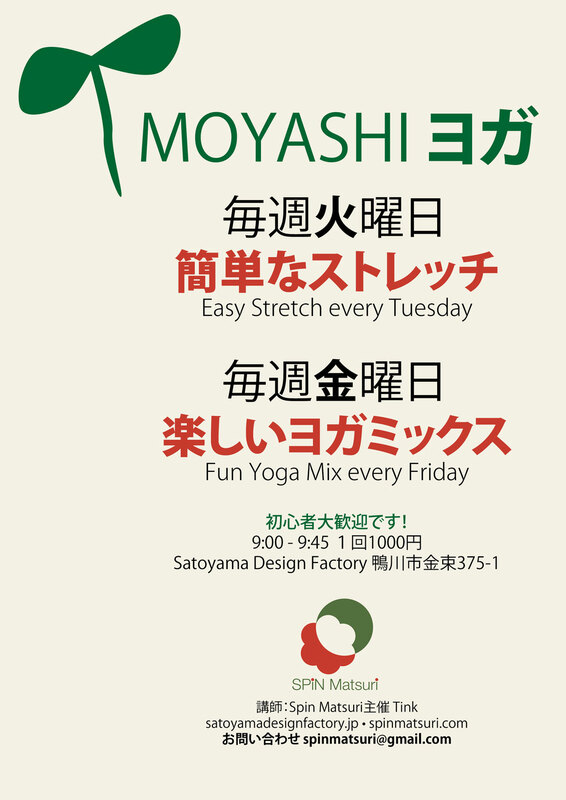 Beginning March 1, morning yoga sessions every Tuesday and Friday morning at Satoyama Design Factory in Kamogawa, Chiba. Come on over for a stretch and some fun. Beginners welcome!